This time celebrate your Christmas and New Year with this amazing sweet treat which is yummy,healthy,low in calorie and and just right for your party mood. 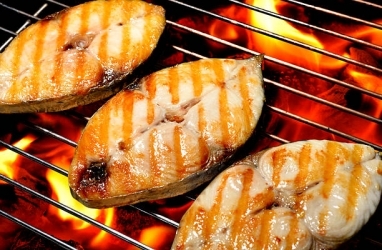 Grilled fish can be healthy addition in diet.It helps in weight loss as its less in calories and keeps you full for long time. Crispy baked cauliflower is a twist in boring regular vegetable.It is a excellent starter or snack.